Since all investors seek maximize returns balanced against acceptable risks, successful investment management is all about successful risk management. Strategic Risk Management uses that reality as a starting point, showing investors how to make risk management a process rather than just another tool in the investor's kit. The book highlights and explains primary investment risks and shows readers how to manage them across the key areas of any fund, including investment objectives, asset allocation, asset class strategy, and manager selection. With a strong focus on risk management at the time of asset allocation and at the time of implementation, the book offers important guidance for managers of benefit plans, endowments, defined contribution schemes, and family trusts. 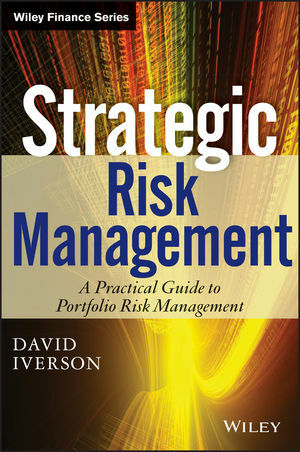 Strategic Risk Management is a comprehensive and easy-to-read guide that identifies the primary risks investors face and reveals how best to manage them. DAVID IVERSON is Head of Asset Allocation with New Zealand Superannuation Fund. He was previously Director of Institutional Investment Services & Quantitative Research at Goldman Sachs JBWere and has also held positions with Russell Investment Group, ING Investment Management, and ABN AMRO.